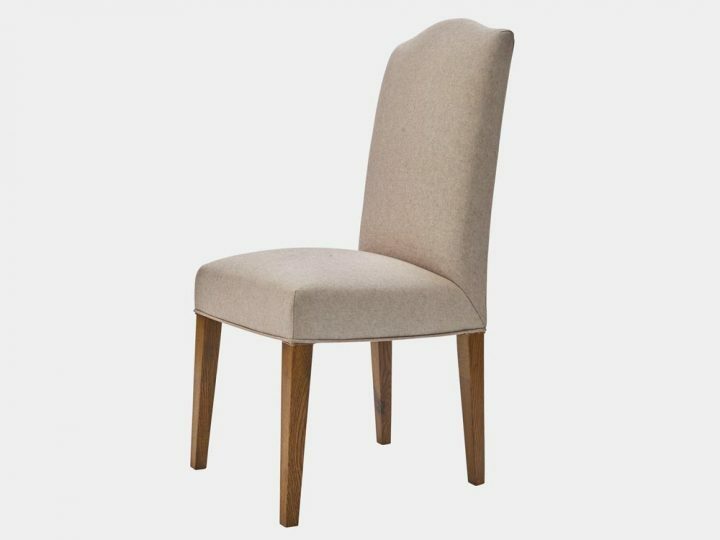 Solid timber frame with antique walnut finish; upholstered in linen fabric, feather cushion seat and very fine hand carved frame with floral motifs on fine cabriole legs. 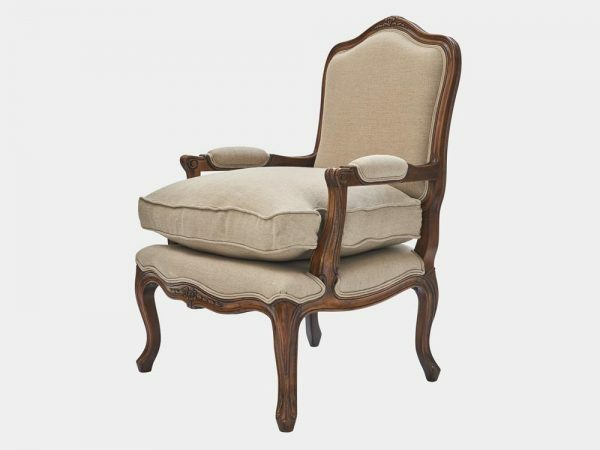 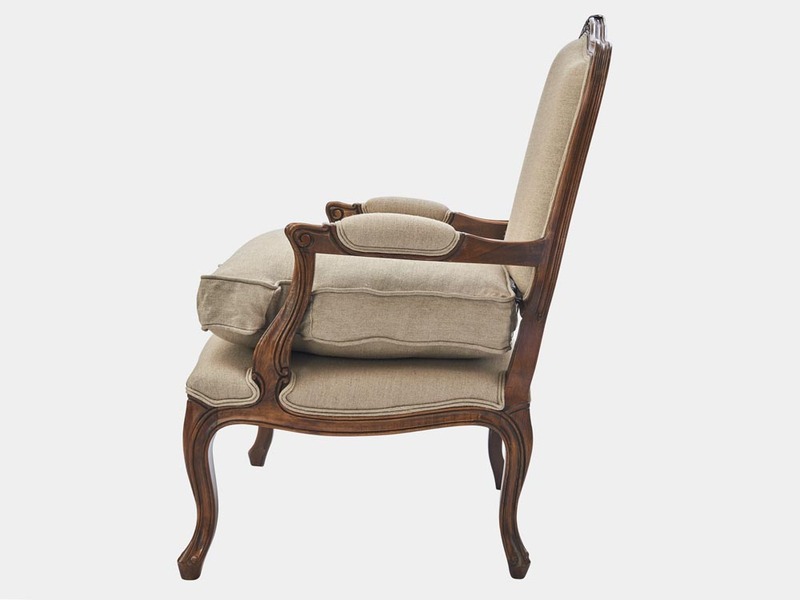 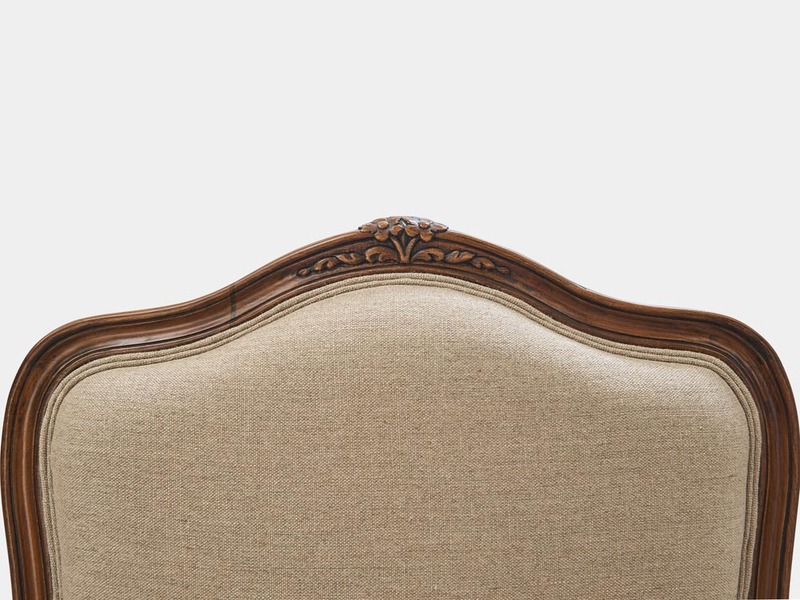 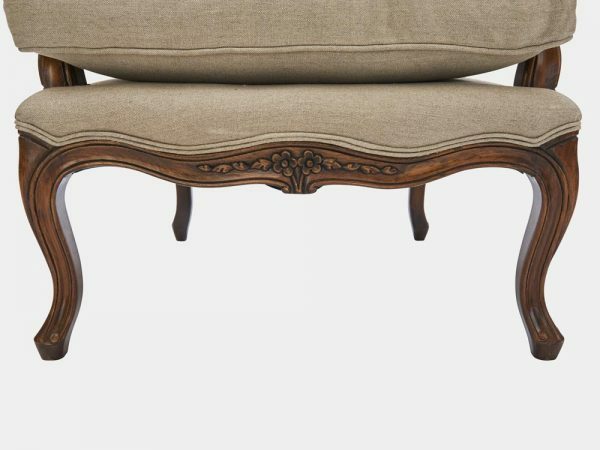 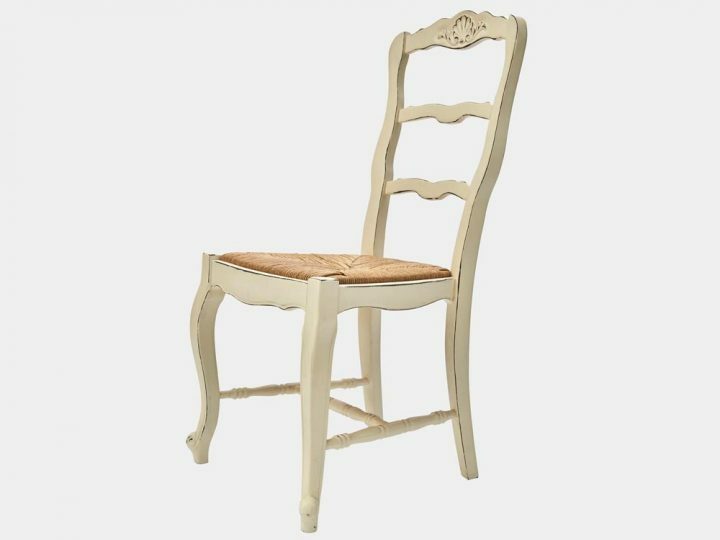 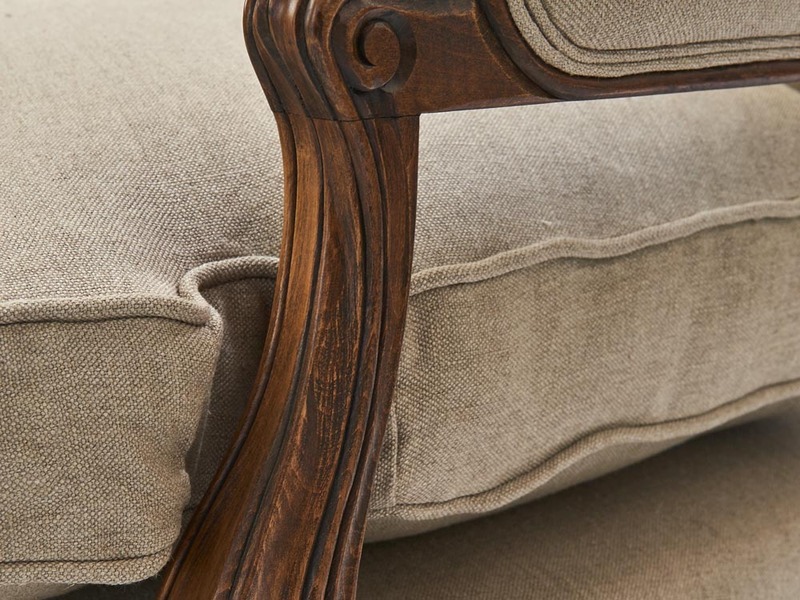 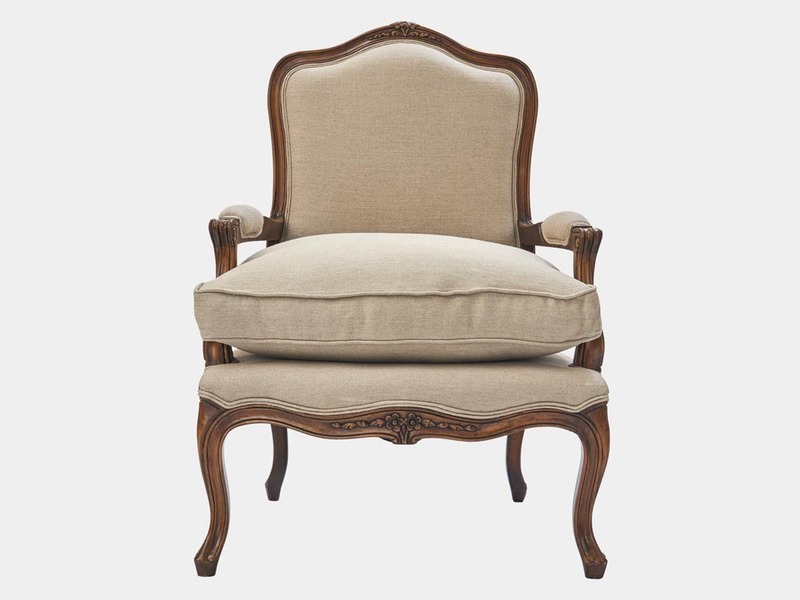 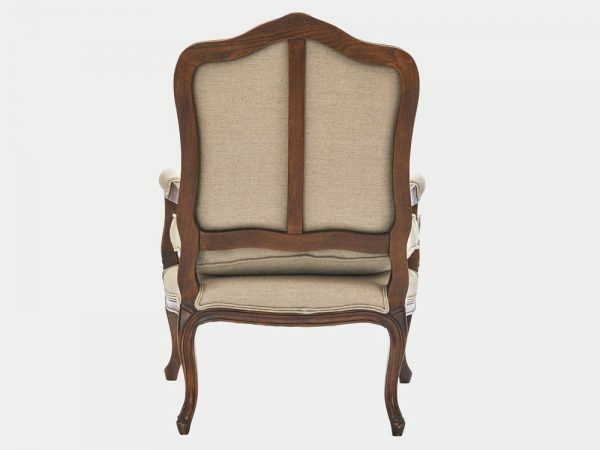 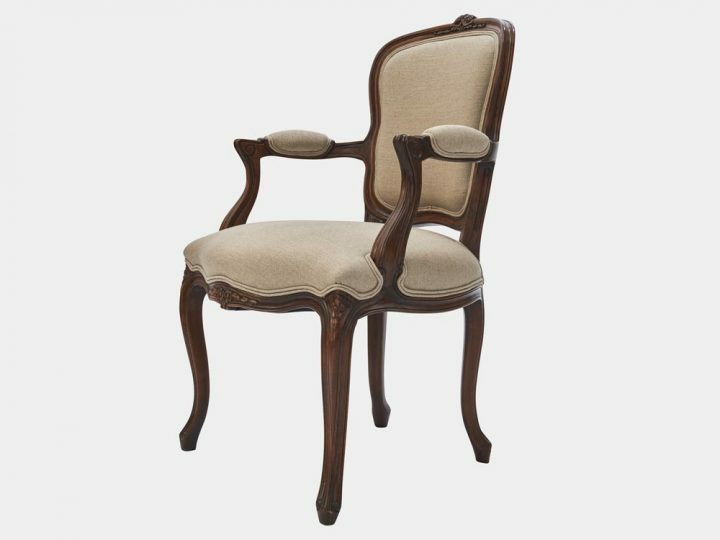 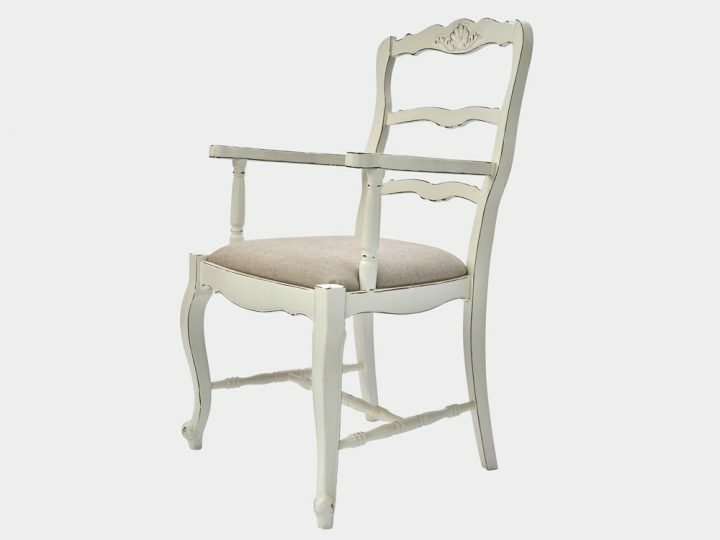 French provincial Louis XV style Bergere armchair – antique walnut finish and taupe linen. Solid timber frame with antique walnut finish; upholstered in linen fabric, feather cushion seat and very fine hand carved frame with floral motifs on fine cabriole legs.